Soft and aromatic flat bread with a spicy potato and herbs stuffing. Gently pour the water and knead to a soft dough. Knead until the dough becomes very pliable. Cover and keep aside in a warm place for 30 to 45 minutes. Meanwhile combine all the stuffing ingredients and mix well. Make small-medium sized balls of the dough and flatten them. Roll them into a small-medium cirle on a floured surface. Spoon approx 1 tbsp of the filling and spread it evenly on one side. Cover it with another uncooked paratha and carefully seal the edges, using little water if required. 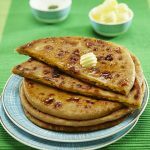 Cook the prepared parathas until reddish-brown spots appear. Remove and brush the top with melted ghee or butter. 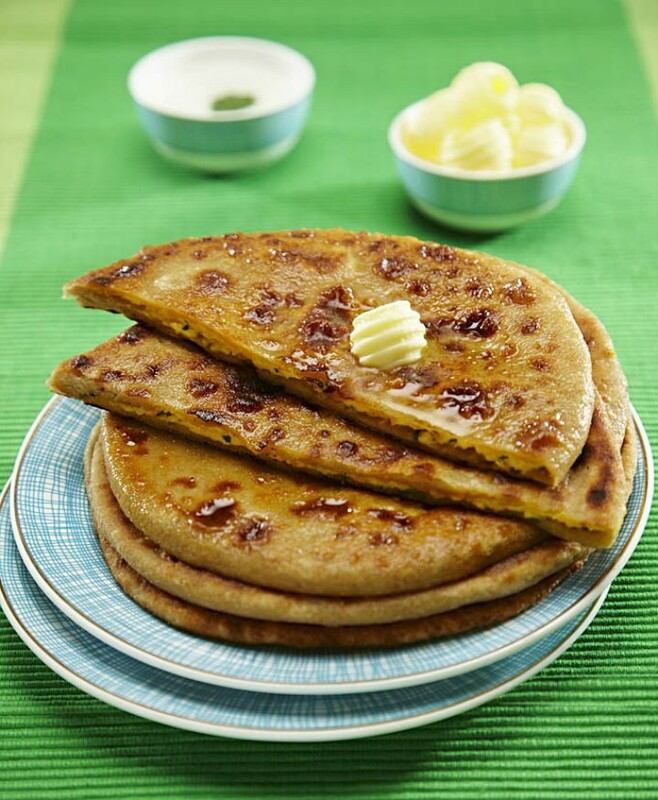 Feel free to comment or share your thoughts on this Aloo Paratha Recipe from Awesome Cuisine.